Thanks for visiting! I hope you’ll support our work by visiting our shopping site at https://shop3duniverse.com. I’m a tinkerer. I love the process of investigating something in every intricate detail, identifying issues or areas for improvement, then making adjustments to achieve better results. I think that’s why I enjoy 3D printing so much. It’s not for everyone yet. I want it to be, as I do consider myself an evangelist for 3D printing technology. It has tremendous potential and will dramatically change our lives in the decades to come. There is so much happening in 3D printing right now. There is an enormous global community driving development, aided by each others’ efforts thanks to the Internet. Just spend a little time on sites like 3ders.org or 3dprint.com and this will quickly become clear. This collaborative approach to technological development is a very powerful force. I believe the pace of 3D printing and related technologies is going to outpace even the more optimistic predictions because of this. It has a similar feeling to the way computers were in the early 1980’s. Back then, people didn’t really get the point of having a computer, and folks like me who loved them so much seemed a bit odd. But look how far computers have come since then. Now we all carry one in our pocket! In another decade or two, 3D printing will be similarly pervasive and transformative in our everyday lives. I was in grade school when I got my first computer and taught myself Basic programming. I fell in love with it, fascinated by the way you could feed instructions to this machine and it would execute them perfectly. And if something didn’t work, you could investigate and find where you made the error and fix the code, then run it to observe the results. In subsequent years, many hours were spent “playing” with computers while other kids my age were out playing sports, going to parties, etc. It made me kind of a nerd as a kid, but it led me to my first career. I used my computer knowledge to start a small consulting company. A few years later, I became an owner of a rapidly growing consulting firm specializing in information security, with 30 employees. Great money, tremendously educational, and a lot of it was fun, but it was also a very demanding, stressful environment. After 14 years of running that company, I came to ask myself a very disturbing yet important question: “If money weren’t an issue, is this still what I would be doing with my time?” Ask yourself that question, and have the courage to be really honest about the answer. If you won the lottery tomorrow and never had to worry about money again, would you still spend your time, day after day, doing what you do now? I realized that, for me, the answer was no. So in 2012, I sold my shares in the consulting firm I helped to build and I left. I didn’t have a plan. I just knew I had to find what I truly loved, and then I would find a way to make money doing that. 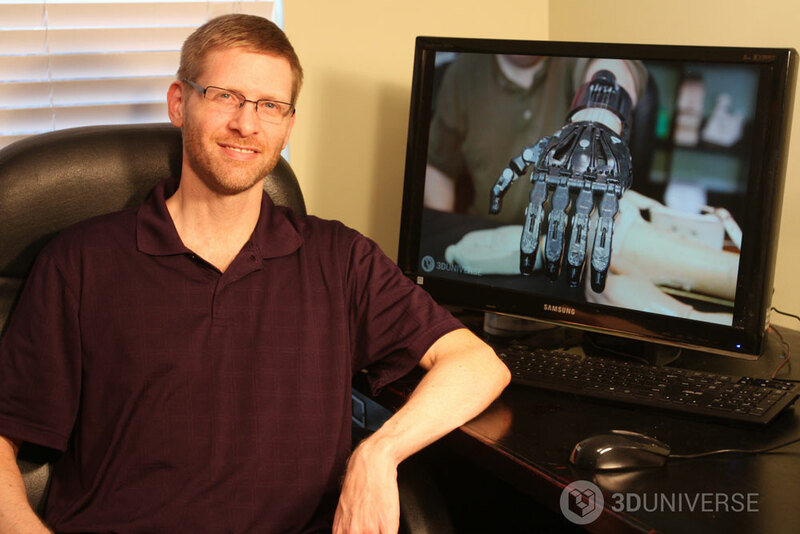 As I began to explore, I was quickly drawn to 3D printing technology. I decided to get my first 3D printer in 2013 and haven’t done much of anything else since. Many days, I’ll happily spend 18 hours straight working on things related to 3D printing: Testing and calibration, developing improved workflows, or making instructional videos. And after 4 hours of sleep, I’ll wake up without an alarm, jump out of bed like a kid on Christmas morning, and run downstairs to see how the print job I left running overnight came out. It’s all been tremendously enjoyable, and I look forward to the years ahead, as this technology continues to rapidly develop. I hope you enjoy the blog!